All Green is a well-known company because of its proven practices and procedures in terms of Electronics Recycling. With our best service and skilled workers, we are the Seattle leading e-wastes recycling company. We have been recognized in this city and in the entire North America for many years because our our responsible way of Computer Recycling. You can validate this by asking our clients who already enjoyed the services we provide. Secure Data Destruction is one of most interesting service we offer in Seattle. We Destroy the sensitive data and files in your disposable hard drives while making sure that your data remains safe and private to you. Trust us, we can effectively do what we say. We want to provide great opportunity for the people of Seattle to experience our Hard Drive Shredding service that other cities have already enjoyed. We have trusted workers and we are using hi-tech facilities in the company to ensure proper handling of your old hard drives. We want to help by giving you the opportunity to make money out of your disposable IT Assets. If you want to learn how, you can make quires to our customer service centers situated in the city. We have personnel who can help you anytime you need. On the average, we get to use our laptops for three years and our cellphones for a year of two. When a newer, sleeker and more energy efficient model comes out in the market, we would always want to already dispose our old units and get an upgrade. Why not? But remember to also ensure the proper disposal of your old units. Dropping these into the waste bins or storing these on our garages is never enough. These electronics equipment can still be recycled and refurnished for reuse if entrusted to an expert recycler like Seattle Electronics Recycling. Mercury from your E-wastes, for example, is needed in the manufacture of thermometers and electric switches. A combination of old industrial companies and new ones engaged in Internet, technology, service, design and clean technology have found a home in Seattle. The city’s gross metropolitan product reached $21 billion in 2010 making Seattle the 11th largest metropolitan economy in the United States. The Port of Seattle which operates the Seattle-Tacoma International Airport is a major trade gateway for Asia and for crusies bound for Alaska. Despite its economic stability, Seattle was not spared from the Great Recession. But the city managed to retain its comparatively strong economy and remained as a hotbed for start-up businesses. Its adoption of green building and clean technologies made Seattle as America’s No. 1 “smarter city.” Now, the city government is working to become North America’s first “climate neutral” city with a goal of reaching a zero net per capita greenhouse gas emission by 2030. Aligned with the government’s efforts to be climate neutral in the next 14 years, Seattle Electronics Recycling is offering its professional help to the people of this awesome city, in the proper disposal of their E-wastes. 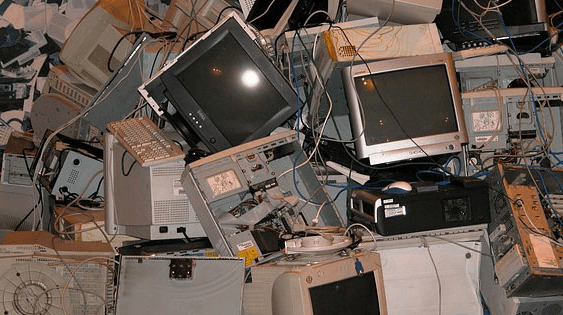 We pick up your obsolete electronics equipment and bring this to a government certified facility for recycling. All Green Electronics Recycling always raises the bar of the recycling industry with its delivery of an exceptional kind of service. While we do our task, we also make it a point to always comply, if not exceed, EPA requirements and guidelines in handling E-wastes and other hazardous materials.